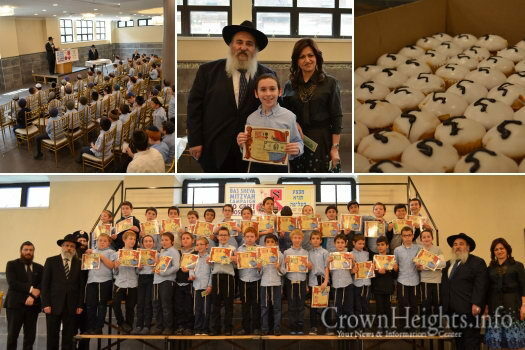 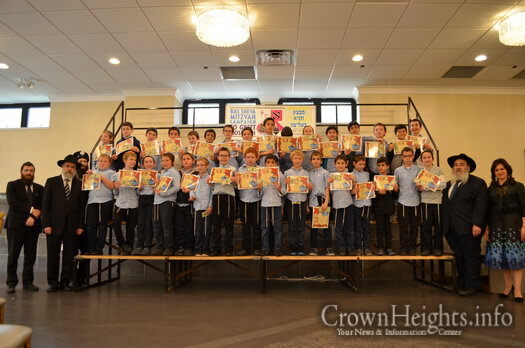 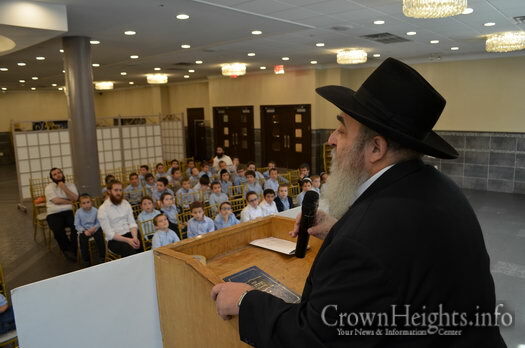 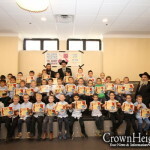 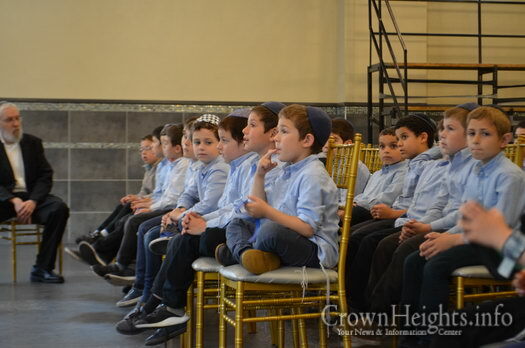 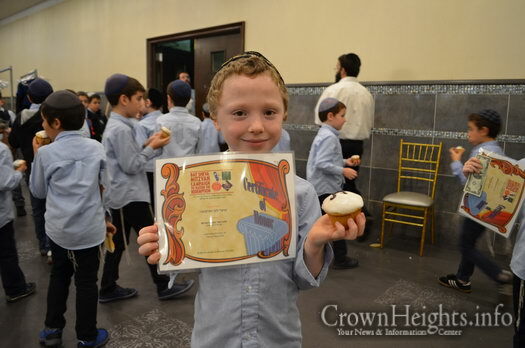 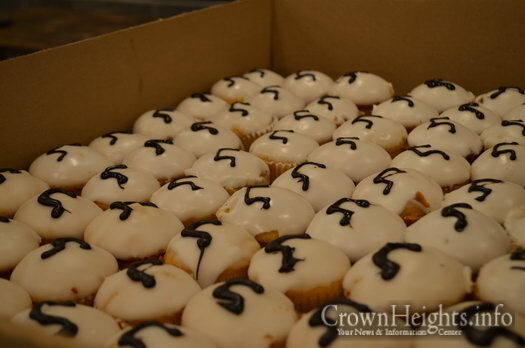 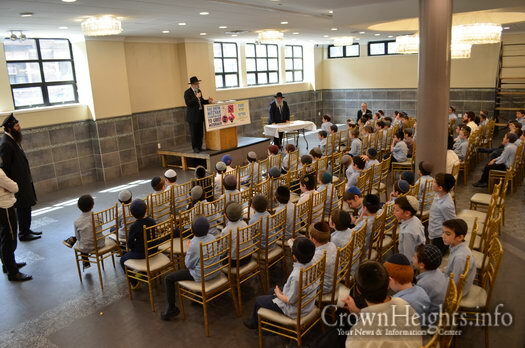 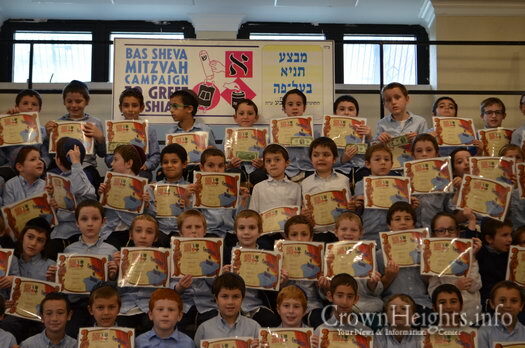 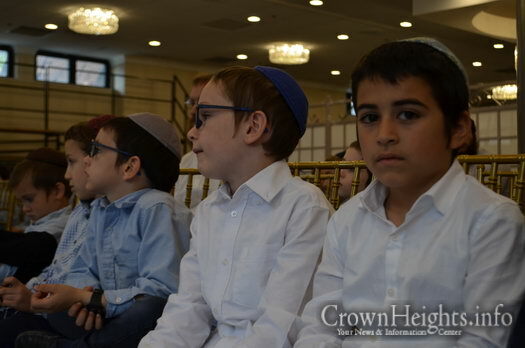 As part of the Bat Sheva Tanya Baal Peh campaign, a large group of United Lubavitcher Yeshiva students were rewarded for learning whole perokim as well as lines of Tanya by heart. 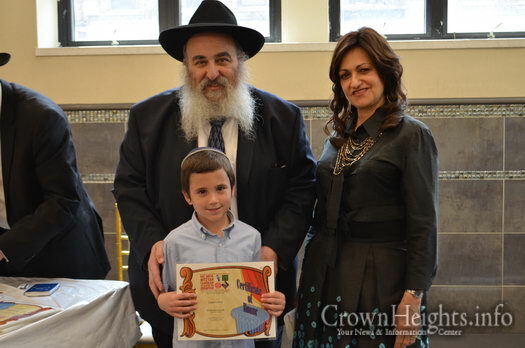 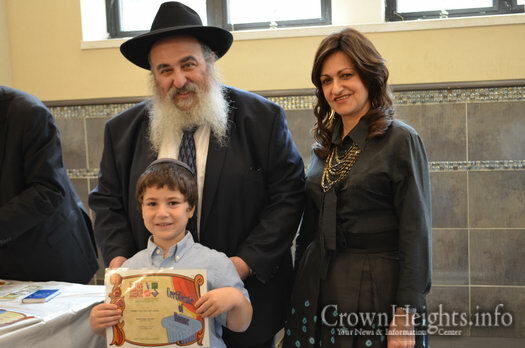 For a number of years, Rabbi Mordechai and Mrs. Shterney Kanelsky of the Bris Avrohom Center in Hillside, New Jersey, have been encouraging extra learning and Mitzvas to be done in honor of their infant daughter, Bas Sheva, OBM, who passed away in 2003. 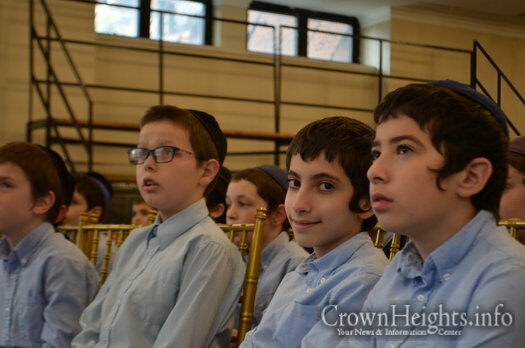 One of the projects is to have the Talmidim of the Yeshivos study Tanya Ba’al Peh. 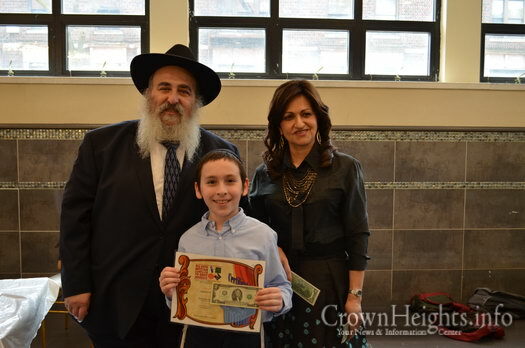 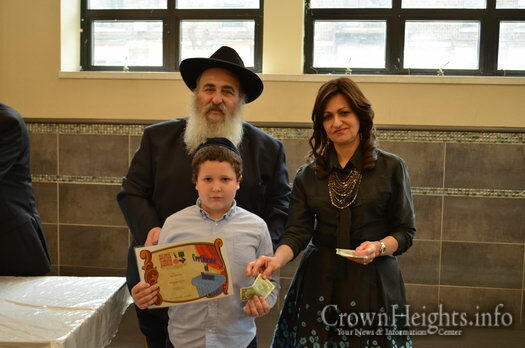 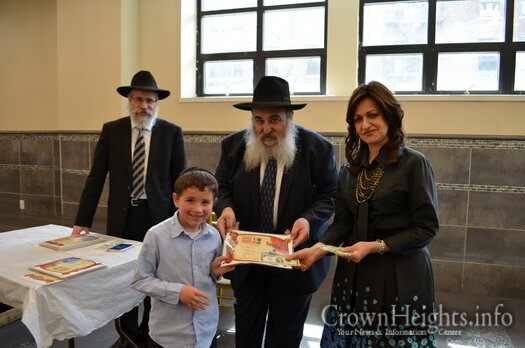 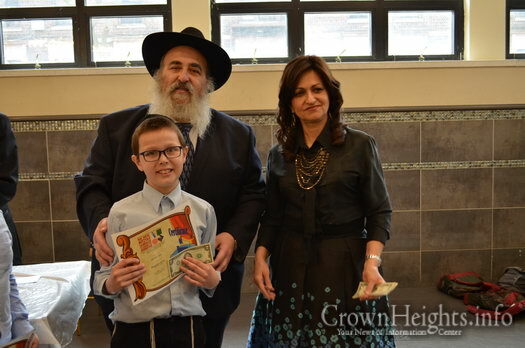 Once again this year, the Kanelskys came to ULY-Crown St., to award all those who participated in this wonderful Mivtza with certificates and monetary rewards. 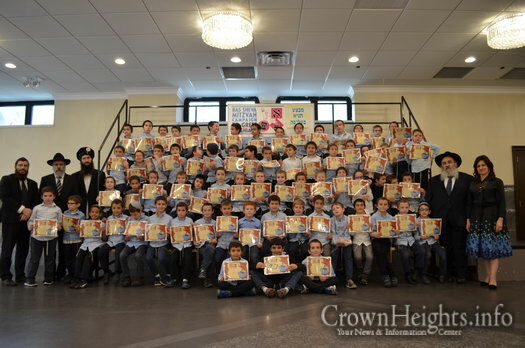 Over 10,000 lines of Tanya were accumulated and over 150 Talmidim received awards! 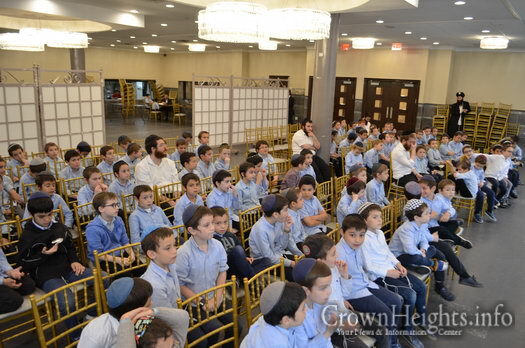 Rabbi Kanelsky inspired the Talmidim as he shared with them his personal story of when the Rebbe tested him in Yechidus on Tanya B’al Peh when he was 9 years old. 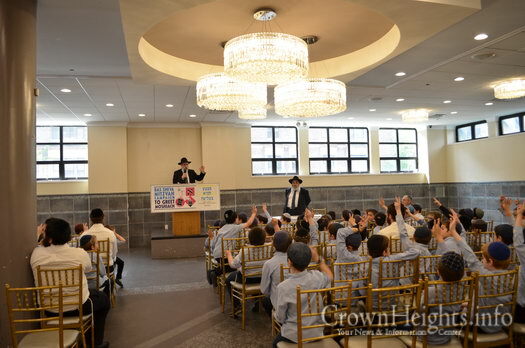 Rabbi Simpson, Principal of the Yeshiva, who tests all the boys personally and keeps on encouraging the students, addressed the audience with warm words. 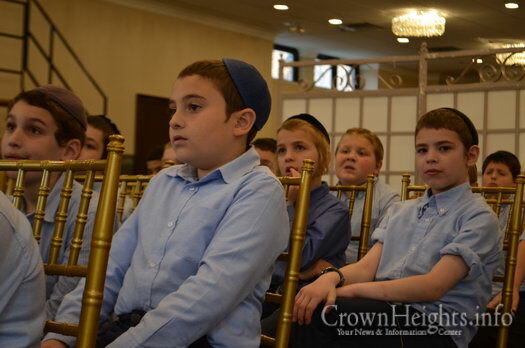 The boys listened attentively as Rabbi Simpson explained the importance and the impact the holy words of Torah have. 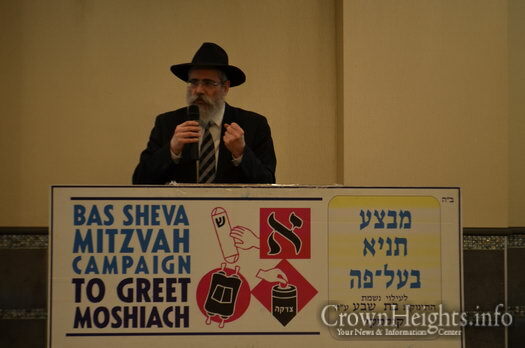 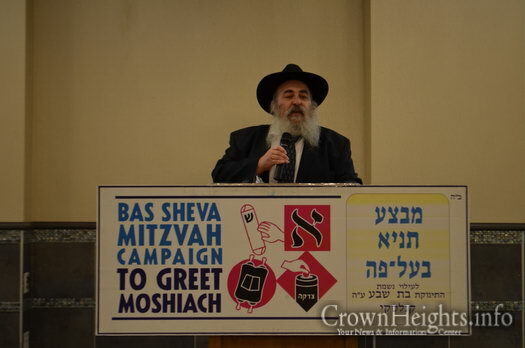 I was so excited see the Bas Sheva Mitzvah Campaign to Greet Moshiach is doing such beautiful mitzvahs. 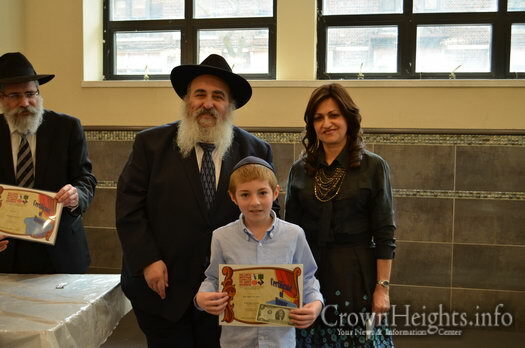 All the best to the Kanelskys and all that they do.